If you blog, you know as well as I do that these questions can’t exactly be answered properly in a 5 minute conversation! I’ve been blogging since 2007, and I’m still learning new things every day! But luckily there are a lot of sources online to help new and veteran bloggers alike! In 2015, I was chosen to be part of a great collaborative team of bloggers. Together we put together a comprehensive guidebook to blogging. 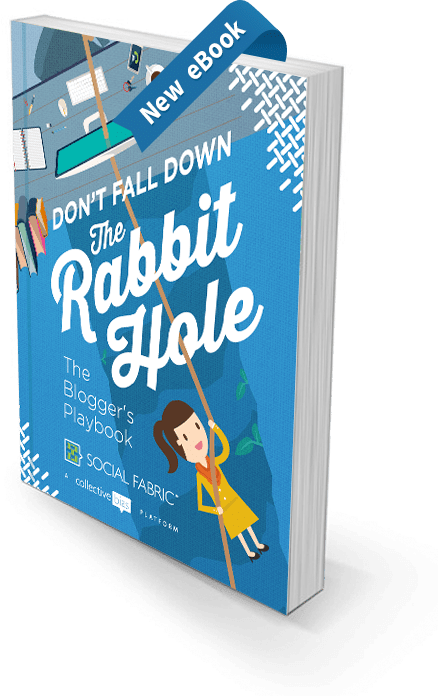 The ebook is called Don’t Fall Down The Rabbit Hole: The Blogger’s Playbook. The book is 440 pages in length and contains over 200 tips and great content from 24 talented bloggers and social influencers! In this book, you’ll learn everything from photography tips to creating shareable content, as well as tips to build your blogging community and your social media presence. And the best part is that it is completely FREE! Just follow the link below, and pick up your free printable copy today!